This page contains selected news about safety hazards. It is not intended to be, nor is it possible to be, a complete source of safety bulletins issued by any or all authorities, nor is it intended to be an all-inclusive treatment of any of the subjects discussed. The reader is encouraged to investigate other sources or references to expand upon items of interest to them. 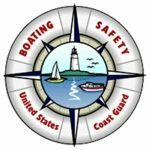 Those interested in researching additional safety bulletins should visit the U. S. Coast Guard Boating Safety site. Raymarine has initiated a voluntary recall of the Raymarine SPX5 Sport Drive Pilot, according to an alert from the company. Raymarine said it has identified a potential component problem with the device, which it has sold since February. As a result of the problem, the device’s mechanical clutch assembly may fail, causing the steering of the vessel to lock in one direction. Customers should stop using the products immediately and arrange de-installation and return to the retailer/dealer where it was purchased. The retailer/dealer will arrange for a replacement or, if preferred, a refund. “As one of the many people in the northeast metropolitan area who got a heavy shot from the mandated ethanol program here, I want your readers to be aware of another large problem with ethanol for boats built prior to 1988 by Hatteras, Bertram, and a few others. Tanks of this vintage were made with polyester resin laminate. Ethanol eats this resin and dissolves it into the fuel system. From there, it’s distributed through the fuel system and collects on the motor’s cooling surfaces. At first, this residue is gooey and soft, but when it cools, it gets as hard as concrete and locks up any moving part it touches. In addition, it forms blockages on all passages in the fuel system associated with motors and generators. The January Seaworthy magazine from Boat/US provies an exact picture of what to expect. There is no fix; fuel tanks must be removed and replaced or, if they haven’t been subect to this “fuel of the future”, converted to diesel. For most of us, this is a $20,000 loss and, in my case, more. WASHINGTON – Boaters who fuel their boats from the same pumps as their vehicle may be at risk of unknowingly or mistakenly putting 15% ethanol and 85% gasoline into an engine for which E15 has not been approved. Only one small label is required on the pump to warn boaters of the 50 percent increase in ethanol. The Coast Guard Auxiliary recommends only fueling boats from tanks at marinas. On January 21, 2011 the Environmental Protection Agency (EPA) granted a waiver that allows the percentage of ethanol in the nation’s gasoline supply to jump from 10% (E10) to 15% (E15) to be sold only for cars, SUVs and light-duty trucks made in 2001 through 2006. This decision comes on the heels of an October 13th decision to waive the limitations for so-called E15 for model-year 2007 and newer cars and light-duty trucks. This EPA waiver does not permit use of the higher alcohol content fuel in lawnmowers, chainsaws, snowmobiles, motorcycles or boats. NEWS from BoatUS, February 7, 2011 issue states that many components on a boat come in contact with ethanol-laden gasoline, including fuel lines, fuel tanks, fuel pumps, fuel injectors, carburetors, pressure regulators, valves, o-rings, and gaskets. The compatibility of these components with any blend greater than E10 is currently unknown. The failure of only one of these components in your engine could lead to failure or, worse, a fire or explosion. 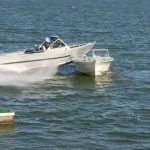 In an effort to reduce the chance of any additional incidents and injuries in the midst of the busy boating season, the Coast Guard Auxiliary is alerting boaters about an important water toy recall by the manufacturer. In cooperation with the U.S. Consumer Product Safety Commission (CPSC), Sportsstuff, Inc., of Omaha, Nebraska, is voluntarily recalling about 19,000 “Wego Kite Tubes”. Reportedly, the CPSC has received reports of 39 injury incidents, with 29 of those resulting in the need for medical treatment. Those injuries included a broken neck, a punctured lung, chest and back injuries and facial injuries. Sportsstuff has also received reports of two deaths in the United States. The company has been unable to determine the cause of the incidents, but has voluntarily withdrawn the kite tube from the market. 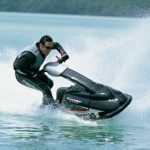 The Sportsstuff Wego Kite Tube is a 10-foot-wide, circular, yellow inflatable watercraft designed to be towed behind a power boat. A rider in the tube becomes airborne by pulling on handles attached to the floor of the tube. Model 53-5000 is printed on the tube near the product valve. The floor of the tube has black caution warning stripes. The cover for the product bears a skull and crossbones and the statement ‘Never Kite higher than you are willing to fall.’ The tubes were imported and sold through marine distributors, mail order catalogs, and various retailers from approximately October 1, 2005 to July 11, 2006 for about $500 to $600. Consumers are advised to immediately stop using the kite tubes, and contact Sportsstuff at (866) 831-5524 between the hours of 8 a.m. and 5 p.m. CST Monday through Friday, to learn how to obtain free replacement products. Consumers can also visit the firm’s Web site at www.sportsstuff.com for more information. The Coast Guard Auxiliary reminds boaters to always use caution when playing with water toys. Precautions include making sure all riders/skiers/wake-boarders wear a life jacket, and that an observer keeps an eye on the occupants of the water toy at all times. Plastic Fuel Fill Grounding — Recent events have caused the boating industry to examine the policy regarding the bonding of plastic body fuel fills with metallic caps and retaining chains. Existing USCG & ABYC policy states that the bonding of these components is voluntary. A study by IMANNA Laboratories has shown that connecting the metallic retaining chain and cap of a plastic body fuel fill assembly to a boat’s bonding system may result in electrostatic discharge from a land-based fuel pump nozzle to the metallic components of the assembly when the boat is not in the water. This condition does not exist when the boat is in the water due to the equalizations of the ground potentials between the fuel pump nozzle and the boats bonding system. It is recommended by ABYC and the USCG that new and existing installations of this type of fuel fill assembly do not include any attachment to the boat’s bonding system. Existing connections should be removed from the point of connection to the boat’s bonding system to the fuel fill assembly. Removal of the metallic components of the assembly is not necessary; however, the U.S. Coast Guard and ABYC still require that metallic body fuel fills be bonded. All Global Positioning System (GPS)-equipped 406 MHz emergency beacons are not created equal. In a recent test of six beacons from three manufacturers, the GPS location function of one manufacturer’s products routinely failed when tested under other than ideal conditions. An equally important test finding was that the international standards to certify the GPS-enabled 406 MHz beacons fail to take into account the real-world conditions that often exist when beacons are activated. The test was conducted by the Equipped to Survive Foundation, an independent reviewer of survival equipment, and funded by BoatU.S. Foundation for Boating Safety and Clean Water and West Marine. The beacons were specifically tested for their GPS functionality, or their ability to “self-report” their location to Geostationary (GEO) satellites, which can relay the location information nearly instantaneously to rescuers. All of the six tested beacons primarily use the 406 MHz distress alerting frequency in conjunction with the COSPAS-SARSAT system of Low Earth Orbit (LEO) satellites and Doppler principles to provide position information. 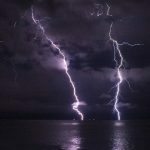 The report did find that all of the tested beacons successfully allowed a Doppler location to be derived – a minimal acceptable level of distress alerting. However, the purpose of GPS-enhanced 406 MHz beacons is to save precious rescue time by supplying much more precise location information via their own GPS-derived location through GEO satellites – ever present in the sky – rather than waiting for an orbiting satellite to appear in view and then obtain a less accurate Doppler computed location. Equipped to Survive Founder Doug Ritter said, “Unfortunately, in the testing, the off-the-shelf McMurdo Ltd. ‘Precision 406 MHz GPS EPIRB’ (also known as G4 406 MHz GSP EPIRB) and the McMurdo Ltd. ‘Fastfind Plus 406 MHz Personal Location Beacon’ (also known as the Fastfind Plus 406 MHz PLB) both failed to reliably acquire a GPS location ‘fix’ under operational ‘real-world conditions.’ The tests revealed that purchasers of these GPS-equipped 406 MHz beacons – who paid a premium for the added GPS technology in the hopes of potentially shortening rescue response with faster location information and increased location precision – are apparently not getting what they paid for and are operating under false expectations. This lack of GPS data could result in tragedy that might have otherwise been prevented,” continued Ritter. The evaluation was divided into three distinct phases: Baseline, Maritime and Inland. Within each of the latter two phases, a series of tests was designed to replicate real-world conditions, with variables such as sea state, limited horizon, forest canopy, mountains and the number of GPS satellites in view. BoatU.S. Foundation President Ruth Wood said, “Emergency beacons are often called upon to send an alert during inclement weather or less-than-perfect conditions. We tested the six beacons aboard a life raft, floated them in the water tethered to an inflatable or held by a swimmer in moderate one-to-eight-foot swells, the study showed clearly that the not all these beacons operated equally,” she said. Inland performance was mixed, with McMurdo’s PLB failing to acquire a GPS fix where handheld GPS receivers had no difficulty acquiring a location. Additionally, the study identified other factors that could impact a 406 MHz beacon’s GPS performance, as well as some generic 406 MHz beacon flaws worthy of note. Beacons that rely on an external GPS source are entirely dependent on the performance of that external GPS source – and the quality of GPS receivers varies significantly; submerging the base of some PLBs’ antenna in water can adversely affect their ability to successfully transmit an alert under some conditions or to provide an effective 121.5 MHz homing signal. “If there is a man overboard situation,” said Ritter, “It’s not a stretch to assume that their Personal Locator Beacon could also be partially submerged and rescue potentially compromised.” The Equipped to Survive Foundation issued 17 specific Conclusions and 23 critical Recommendations for action based on the test results. “The bottom line is that while the international COSPAS-SARSAT system does an extraordinary job of saving lives, the COSPAS-SARSAT testing standard for GPS performance needs to better reflect real-world conditions. Consumer expectations regarding performance of these emergency beacons are very high – this is one area where those expectations must be better met,” he concluded. In response to the test results, West Marine announced that it will provide a full refund or exchange of the affected McMurdo products while it works with McMurdo to resolve the issues noted in the Foundation report. The BoatU.S Foundation for Boating Safety and Clean Water is a national 501(c)(3) non-profit education and research organization funded by the voluntary contributions of 550,000 members of BoatU.S., the nation’s largest recreational boat owners association. The mission of the Foundation is to promote safe and environmentally sensitive boating, reduce accidents and fatalities, and increase stewardship of our water resources. The Foundation operates the only accredited, free, online boating safety course, a low-cost EPIRB rental program, a free Kids Life Jacket Loaner program, and awards grants to non-profit groups for boating safety and environmental projects. West Marine is the largest marine retailer and distributor in the world operating over 350 retail marine stores under the West Marine and BoatU.S. brands. In the pursuit of improving boating safety, West Marine has conducted numerous tests of marine equipment including anchors, life jackets, bilge pumps, life rafts, and pyrotechnic signals, and has co-sponsored other tests with well-known safety organizations. It is also a sponsor of the US Sailing Safety at Sea Seminar series, which educates offshore boaters in critical safety skills and equipment. The non-profit Equipped To Survive Foundation is dedicated to saving lives by raising awareness of potential survival emergencies, promoting preparedness as the key to surviving life-threatening circumstances, performing research and offering objective information to allow intelligent selection of effective survival equipment and supplies, providing education in practical survival techniques and procedures, and encouraging development of new and improved survival equipment, supplies and techniques. It publishes Equipped To Survive (www.equipped.org) as its primary educational outlet. A brief illustrated Press Summary of the full 200-page report, “Evaluation of 406 MHz Location Protocol Distress Beacons,” is available for media download. It includes background on what experience and prior test results provided the impetus for the development of the evaluation, details of the testing with specific results for each beacon in each scenario tested, and a critical list of the evaluation’s 17 Conclusions and 23 Recommendations for action developed as a result of this testing. EPIRB vs. PLB – What are the differences? External vs. Integral GPS – What difference does it make? Introduction of Personal Locator Beacons to U.S.
What is the Equipped To Survive Foundation? Emergency Beacon or Distress Beacon are generic names for a radio-transmitting unit that uses satellite technology to locate a distressed individual, boat or plane. The specific name for a beacon in maritime use is the Emergency Position Indicating Radio Beacons (EPIRB); in aviation it’s an Emergency Locator Transmitter (ELT); and for the individual boater, outdoor enthusiast or pilot, a Personal Locator Beacon (PLB). While EPIRBs and ELTs have been in use for nearly three decades, Personal Locator Beacons just became legal to use in the continental U.S. last July. No matter which, they serve to summon help when there is grave or imminent danger, and when no other method of communications is available. Emergency Beacons transmit on internationally recognized distress frequencies, monitored by aircraft, satellites, land stations and rescue vessels. COSPAS-SARSAT low earth orbiting (LEO) and geostationary (GEO) satellites monitor for beacon alerts. The LEO satellites compute a location “fix” using Doppler and triangulation principles and relay the information to ground stations which is then sent to a country’s Mission Control Center (MCC). In the U.S. the MCC is operated by NOAA in Suitland, Maryland, outside Washington DC. The MCC contacts the appropriate Rescue Control Center (RCC), the Coast Guard if on the water, the Air Force for inland alerts, so resources such as Coast Guard, Civil Air Patrol, Forestry or other local rescue efforts can be directed to that location. Emergency Beacons have been critical for saving thousands of lives in emergencies when other forms of communication are unavailable. The earlier generations of Emergency Beacons used 121.MHz and 243 MHz (military) analog signals in the VHF band to signal distress, but those frequencies will no longer be monitored as of Feb. 1, 2009. A newer class of emergency beacons offer greater reliability and accuracy and use the 406 MHz radio band to transmit a digital alert. While the first generation of Emergency Beacons offered accuracy within 12 nautical miles, 406 MHz emergency beacons drill that down to less than a 2 nautical mile radius, resulting in faster and less costly rescues. The promoters of this newer technology like to say they take the “search” out of search and rescue. Recently, 406 MHz Emergency Beacons have been combined with the Global Positioning System (GPS) technology for a more accurate and rapid alert. 406 MHz Emergency Beacons can use the GEO satellites to alert the MCC in near real time (coverage is between approximately 70 degrees of north and south latitudes). However, since these satellites don’t move in relation to the beacon’s location, they can only transmit an alert, they cannot derive a location via Doppler. GPS-enabled 406 MHz Emergency Beacons – which either contain GPS circuitry internally or can be plugged in via a wire to a separate handheld GPS unit – can immediately relay an accurate position to Mission Control Centers around the world. Their key advantage is that the GPS function does have to wait until an orbiting satellite is located overhead, which can take up to 90 minutes in some parts of the world, typically about half that in the continental U.S., and increase accuracy to within .05 nautical miles. As with any GPS, however it requires good visibility to the GPS satellites (no dense foliage, boat cabin roofs, or mountains in the way). All 406 MHz Emergency Beacons require the user to register the beacon with NOAA, which is free. Marine EPIRBS and aircraft ELTs go further by “attaching” a craft’s identification to the registration. This allows authorities to better identify distressed craft to aid search and rescue efforts. By registering it also allows authorities to investigate false alarms before starting costly search and rescue operations. In the marine industry, the U.S. Coast Guard reports that 94% of all EPIRB alerts are false. In August 2002, SOspenders announced a recall of some of their automatic inflatable PFD’s. Apparently, it was suspected that about 7,000 jackets may be defective due to a faulty auto-inflator device. Anyone owning this brand of inflatable with the model numbers (found on the label) 38HSTD-M-W, 38HSTD-M, 38HHAR-M-W, 38HHAR-M, 38CMH, 38HPRO-M, CMH38ARP, 38HTV/9, 38HTV/9-CG, 38HSTDM/7, or 38HUL/9 should cease using them immediately, and return them to the company for inspection. You can find more information at www.sospenders.com,or by calling their customer service department at 800-858-5876 during business hours, PST. Some plastic flare guns made by Olin (now Orion) can’t be opened wide enough to accept a flare cartridge and would therefore be useless in an emergency. One marine surveyor in Florida, who regularly checks flare guns while doing surveys, found that 13% of the Olin guns (9 out of 69) he inspected couldn’t be opened. A spokesman at Orion confirmed the problem. Nylon material used to keep the breech closed can deform and jam the opening mechanism. Any Olin flare gun is suspect, as are Orion guns made before 2000, the year the mechanism was reengineered (guns with the modification have the USCG approval code 160 028/12/1 stamped on the body). A recall has not been issued, although Orion has agreed to replace any of the defective guns, regardless of age. Orion recommends checking the operation of the guns now and at the beginning of every season. If the breech won’t open, the gun should be sent back for replacement. Two brothers ages 8 and 11, were swimming at the rear of a houseboat on Lake Powell. Both were overcome by carbon monoxide (CO) and disappeared beneath the water in front of their friends and family. This incident caused the Glen Canyon Recreational Area to examine the number of CO related incidents on the lake. They found that 9 people have died over the last 6 years from CO and there have been over 100 boat related serious poisonings reported since 1991 on Lake Powell alone. CO is a lethal poison that is produced when fuels such as gasoline are burned. According to the National Center for Health Statistics, over 2,500 people in the U.S. will die per year of carbon monoxide poisoning, and over 10,000 will be hospitalized, making it the most common causes of death from poisonings in the United States. It can rapidly accumulate even in areas that might appear to be well ventilated such as being outdoors on a boat. Because CO is colorless, tasteless, odorless, and nonirritating, it can overcome the exposed person without warning. It produces weakness and confusion, depriving the person of the ability to seek safety. For visitors boating, exposure to deadly airborne pollutants is the furthest thing from their mind. The cause of death for these CO poisonings is reported as “drowning” and CO is not routinely tested by medical examiners unless specifically indicated. Because of this and because the symptoms mirror those of heat stress, flu, or even a hangover, experts believe that there many CO related poisonings are reported as mere drownings. Automobiles are now equipped with catalytic converters that remove up to 90% the CO. This may be the reason for the decline in automobile related poisonings and a lowering of awareness in the general public. However, gasoline engines and generators on boats have no emission controls and can emit CO in huge amounts. The design of the houseboats involved in the fatalities all have rear-mounted generator exhaust systems that direct the exhaust fumes underneath the back deck and swim platform. In some designs, there is a cavity underneath the back deck created by the back step. The exhaust is trapped in this cavity. Airborne concentrations in this space were measured to be up to 30,000 ppm. Due to the inherent risk presented by CO in engine exhaust, the Coast Guard recommends that all houseboat owners/operators with swim platforms take steps to ensure the safety of anyone swimming by keeping them away from any area where exhaust is vented. Also, owners should contact the manufacturer of their houseboat, if they have any questions concerning the applicability of this recall to their houseboat, or if their houseboat has this design and they have not been contacted by the manufacturer. INCIDENTS 01-328 – Glen Canyon NRA (UT/AZ) – Drowning Chad Ethington, 18, of Centerville, Utah, is missing and presumed drowned following a “teak surfing” accident in Bullfrog Bay on the morning of June 27th. Ethington was last seen by members of his party while body surfing behind a 20-foot ski boat travelling between 10 and 15 mph. Preliminary investigations have revealed that carbon monoxide poisoning may have been a contributing factor to this fatality. Ethington was not wearing a life jacket at the time of the accident. This is the first known incident of this particular activity on Lake Powell. Members of Ethington’s party reported that “teak surfing” is done behind the back of a boat – participants hang on to the (teak) swim platform, then let go to body surf the displacement wave created by the boat. Kenyon International, working in conjunction with the U.S. Product Safety Commission, has determined that a quality defect may exist in Kenyon model B23000 and/or B23001 Express stoves shipped prior to April 4, 2001, and may lead to unsafe operating conditions. We are requesting that all EXPRESS model B23000 and B23001 stoves be returned to us for inspection and free replacement of the faulty component. New Kenyon Model EXPRESS stoves B23100 and B23101 are not being recalled. To assist with any questions you may have regarding this voluntary product recall, we have established a toll-free number, 1-866-585-7377. Our Customer Care Team is available to assist you Monday-Friday (8 am – 5 pm Eastern Daylight Saving Time). New stove returns must be pre-certified by calling and obtaining a Return Authorization number. Used stoves may be sent without prior approval. Butane gas canisters must be removed before shipment. This Kenyon recall relates to at least one specific fire claim that has resulted from the regulator defect. However, there have been reports of other “explosions” and fires caused by portable stoves produced by other manufacturers (such as Glowmate, or Glowmaster), which use the same DOT approved 2P/2Q canisters. Most of these have been non-marine related incidents, where the stoves are more commonly used. As a result, the U.S. Consumer Product Safety Commission is conducting an investigation into the cause(s). “If you want to paraphrase, or quote, any of this, please feel free to. It my major ambition to warn as many people as possible about this, to the point of stopping people on launch ramps and telling them what happened. “My boat is a 1977 DiMarco 18 foot jet. The hull is a modified VEE. It is a very popular design that I believe was originally made by Hondo. Through the years versions have been (and continue to be) made by Southwind, Eliminator, Galaxy, Spectra, Canyon, Cole, and many other manufacturers. It is one of the most popular styles of its type in the southern California/Arizona jet market. “I have owned this boat for 16 years, and a friend bought it new in ’77. I’ve been boating on the Colorado River, where this happened, for over 25 years. 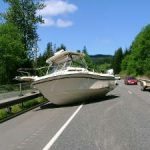 The problem was not necessarily caused by the hull, other than it is a fairly low profile boat, not a lot of freeboard. The failure that caused the wreck was in the intake to the jet. Any jet equipped low profile boat is vulnerable. “The jet is a Berkeley, the most common pump in this area, but most other jets use a very similar system. The water intake for the jet is through a roughly rectangular opening about a foot forward of the transom, in the center of the hull. Water is drawn up into the pump housing, where it is compressed by the spinning impeller and directed (at high speed) out a small nozzle in the rear of the boat, causing forward motion. It is a very simple, safe, reliable design. “In the intake opening of the pump, there is a grate to block out large debris. As most jet owners know, the “fingers” on this grate are far enough apart to allow a ski rope to be sucked into the pump, stalling the engine and causing a frustrating afternoon. The grate is cast (I’m pretty sure) aluminum, and mounts with two 1/4-20″ screws at the front of the intake. It then extends backward into the opening of the jet. “Apparently what happened on my boat is that the two screws holding the grate in place vibrated loose enough for the grate to slip down into the water stream under the boat/entering the jet intake. Once subjected to the high drag of the water stream, the screws broke (the broken screws are still threaded into the bottom of my pump intake.) At this point I’m guessing that the grate jammed partially up in the intake channel of the jet and flipped down into the water stream under the boat. It acted just like a “down” plate on a flatbottom, taken to the extreme. The drag at the stern of the boat pushed the nose under water. Once the deck pierced the surface it just pulled the rest of the boat under, at about 50 MPH. The man who salvaged the boat (who has seen this twice before in 25 years) said that at any speed above about 25 MPH the same thing would have happened. When the boat was salvaged, the grate was completely gone, so it fell off at some point. “I have spoken with many people about this since it happened, and it is extremely rare. Given the rarity of occurence, I wouldn’t call it a design flaw or a chronic problem, but there are a couple of safeguards that can be implemented. “If a boater wants to use the stock blind hole 1/4-20 screws, be sure that they are (red) loctited, and I’d still check them periodically for tightness. The sure-fire fix, which I have found out that quite a few jet boat racers use (and I’m doing to mine, before I sell it) is to drill out the blind 1/4-20s to a through-hole for a 5/16” screw. Then install a pair of stainless 5/16-18 screws through to the inside of the boat with washers and nylock nuts on them. Problem solved. I can deal with sealing a couple of holes through the hull. “As for wearing life vests, they saved both my kids’ lives. When the boat went down (in about 3/4 second the investigator estimated) my six year old son was knocked unconscious when he was hit by the engine. My three year old daughter was fine, and both of them popped to the surface. The experience left them with no lingering fear of boating (an advantage of the swiftness of the trouble), and we are continuing to go boating in the new boat we bought-one with an enclosed engine, much more upholstery, and a much lower top speed. If you have any questions, or want to refer anybody to me, please feel free to do so. My main personal email address is rat_motors@yahoo.com. It has come to the attention of the U.S. Coast Guard and Federal Communications Commission that certain consumer electronics-grade active VHF/UHF marine television antennas are causing operational degradation in the performance of Global Positioning System (GPS) receivers. This interference may be realized as a display of inaccurate position information or a complete loss of GPS receiver acquisition and tracking ability. In one particular case, the interference caused the position of the vessel as displayed on the electronic chart to move erratically and dramatically often across large expanses of land. As can be expected, various data displays indicated erroneous information such as excessive speeds. In these instances the problem would occasionally correct itself while at other times required resetting the system. To the vessel’s crew these annoyances were frustrating and caused concerns that perhaps less obvious inaccuracies were occurring. Ultimately this affected their confidence in the performance of the GPS and Electronic Chart Display and Information System. If the test is not positive and the GPS interference persists, contact the watchstander at the Coast Guard Navigation Information Service at nisws@navcen.uscg.mil / 703.313.5900. This material is provided for informational purpose only and does not relieve any existing domestic or international safety, operational or material requirement. RELEASED BY – Office of Investigations and Analysis, USCG Headquarters. Questions or comments related to this information or its delivery may be addressed to Mr. Ken Olsen at 202.267.1417 or kolsen@comdt.uscg.mil. September 10, 2002 – Washington, DC – The USCG Marine Safety Office Honolulu has recently reported that a high percentage of antennas equipped to Satellite 406 Cat I EPIRBs, product number 2754, manufactured by ACR Electronics Incorporated have failed during dockside examinations of Commercial Fishing Vessels. It is reported that evidence of a corrosion failure may be discovered when the antenna is unscrewed from the EPIRB body assembly. Rusty liquid dripping from the antenna or moisture present inside the threaded section are tell tale signs of failing equipment. ACR Electronics has acknowledged receipt of the failed antennas and has initiated a study to determine the cause and scope of the problem. ACR is committed to support its safety products and will replace damaged antennas at no cost to the owner. Should you encounter similar problems with your vessel’s 2754 EPIRB antenna, contact ACR Electronics Customer Service Representatives at (800) 432-0227, ext. 110 to receive a replacement antenna. As the boating season gets into full swing, a new study released by BoatU.S. Marine Insurance indicates that the leading causes of fires aboard vessels are AC & DC wiring problems, engine and transmission overheating, and fuel leaks. 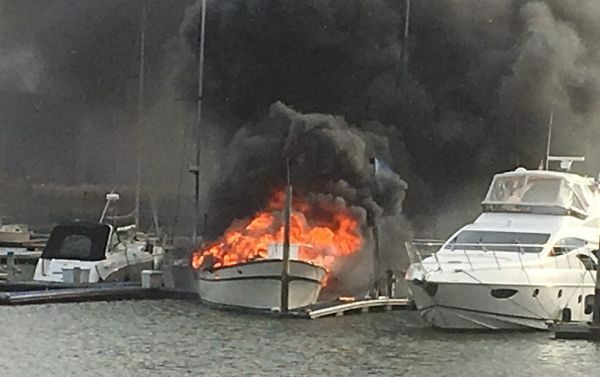 “Unlike a house fire, boaters generally have no where to go but in the water once a fire breaks out, so understanding how fires start, and what can be done to prevent them, is even more important,” said Chuck Fort, Seaworthy associate editor. 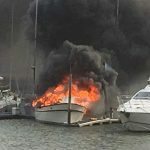 The study, which analyzed hundreds of fire claim files over two years and focused on fires originating aboard vessels (marina fires excluded) is highlighted in the July issue of the BoatU.S. publication, Seaworthy, the nation’s only damage avoidance magazine for boat owners and the marine insurance industry. The #2 cause, “engine/transmission overheating,” had 24% of the claims. Obstructed intake or exhaust cooling water passages are the main cause for hose or impeller meltdowns, which lead to overheating. Keeping these clear, especially exhaust manifolds and risers, as well as regular replacement of pump impellers, would have prevented most of these fires. “Fuel leaks, “the #3 cause, came in with 8% of claims. Typical problem areas are fuel lines, fuel connections on the engine itself, and leaking tanks. The following information is provided by the U.S. Coast Guard’s Marine Safety Office (MSO) in Mobile, Alabama. The MSO is currently investigating two deaths aboard a fishing vessel in Bayou la Batre, Alabama. Preliminary findings indicate that the victims were exposed to deadly levels of carbon monoxide (CO). Although the investigation is not complete, important lessons have been learned. The carbon monoxide came from the exhaust of a portable generator located in the forward part of the engine room. This generator provided power to the vessel’s the air conditioning unit and main deck lighting. The generator’s exhaust gases vented directly into the engine room. open wiring trunks between the engine room and the cabin / wheelhouse. Inadequate ventilation in the engine room in conjunction with the openings between decks allowed the exhaust from the portable generator to easily enter the cabin area. The victims had ceased fishing, secured the main engine, and retired for the evening. Due to the extreme heat and humidity, the doors to the cabin / wheelhouse were closed and the generator was started to power the portable air conditioning unit. The exhaust from the portable generator quickly filled the engine room with deadly levels of carbon monoxide which in turn seeped through deck openings into the cabin area. Unaware of the dangers, the victims went to sleep. Carbon monoxide is a colorless and odorless gas produced as a by-product of combustion in diesel and gasoline engines. This toxic gas can accumulate quickly, especially in confined spaces, and has deadly effects on those exposed to it. Proper elimination of exhaust gases is vital in maintaining a safe atmosphere onboard any vessel. The Coast Guard urges mariners to ensure that the exhaust systems of all diesel and gasoline engines are properly vented away from accommodation, working, and recreational areas onboard vessels. There have been several reports that retail chart sellers have been selling out-of-date nautical charts to the boating public. Proper up-to-date nautical charts are the first step in taking any cruise, whether its around the local bay or from San Diego to Catalina Island. Without accurate charts, the boat, its crew and passengers face increased risks from the ever-changing ocean. Each week, the United States Coast Guard’s Navigation Center (www.navcen.uscg.mil) issues nine regional Local Notice to Mariners. These Notices detail specific changes in the waters within the region. NOAA, the National Oceanographic and Atmospheric Administration is charged with producing Nautical Charts. Before purchasing any Nautical Chart, boaters should stop by their website and check on the latest edition of their chart. This page is located at: http://chartmaker.ncd.noaa.gov/mcd/dole.htm. For more information on the United States Coast Guard Auxiliary, visit us at www.cgaux.org.